Hello guys, welcome to this post, here you will find some of the best free courses to learn Ruby programming language and Ruby on Rails framework online. If you don't know what is Ruby and what is Rails framework then let me tell you that its one of the simplest programming language with little to no syntax. If you are new to programming or never coded before then also developing a Ruby application will be much easier than choosing any other programming language like Python or Java. When it comes to developing web development, the Ruby on Rails also makes your job easy by making several useful assumptions based upon convention, which means you can do more by writing less code. It's also one of the most powerful frameworks for web development and many popular websites like Twitter, Groupon, Shopify, Githu, LivingSocial, and Yellowpages are built using Ruby on Rails. In this article, I am going to share some free online courses to learn Ruby programing language first and then some courses to learn the Ruby on Rails from scratch. Btw, most of the Rails courses also teach you Ruby as many programmers start with the Rails itself and learn to programme along the way. I have also chosen hands-on courses which not only tell you the theory but also show you how to stuff live. Most of these courses not only teach you Ruby syntax and rules and how to run the Ruby programs but also they will help you install Ruby on both Windows and Linux, as well as on Virtual Box. Also, these courses are project-based and teach you how to use Ruby and Rails for developing web application by creating web apps from scratch e.g. TODO List, an application like Twitter, Blogger, and Wikipedia etc. This is actually the most effective way of learning a new technology. You learn a lot by seeing your instructor doing stuff, rather than just looking at the slides. Here is my list of some of the best online courses to learn both Ruby programming language as well as Ruby on Rails framework for FREE. Even though the course is not paid they are very good on quality, especially the course to learn Ruby on one month and you should enroll on them to get the benefit and learn a new skill today. I have also been sharing a lot of free programming resources in this blog and if you are the first time here, you may want to search through the box to find out about free online courses on Java, Spring, Kotlin, DevOps, and Data Structure and Algorithm. Anyway, let's see some of the free Ruby and Rails course to start your journey on the beautiful world of web development with Ruby. 1. Ruby for Absolute Beginners! This is a beginner level free course to learn fundamentals of Ruby programming language. Anyone who wants to learn Ruby or Programming can join this course. Before learning Rails, a Ruby framework for developing a web application, it's important to learn Ruby programming itself. Since Ruby has very little to no syntax, It is the easiest language to learn any programming language. If you are new to programming or have no prior knowledge of programming, then look nowhere and join this course. The courses also well structure and cover all key concepts of Ruby. It's also hands-on and teaches you how to install Ruby on Mac and Windows and set up your development environment. This is one of the best and most up-to-date course to learn Ruby online for free. The author, Mattan Griffel is the founder of One month, a startup which promises to teach you a new technology in one month. In this One Month Rails course, you will learn how to code your own web application using the most powerful and user-friendly web development framework, Ruby on Rails. The course not only teaches you how to use Ruby on Rails but also show you how to style your web application using Bootstrap and how to deploy it and go online with Heroku. In this course, the author also shows you how to build a Ruby web application like Twitter where you can add tweets and upload images. In short, one of the best free online course to learn Ruby on Rails in one month. 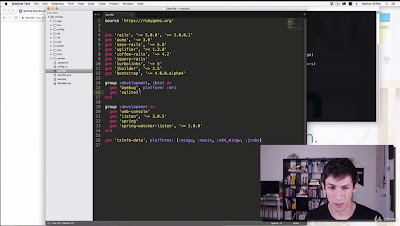 This is another amazing course to learn Ruby and Rails from scratch. The course teaches you the amazing and powerful Ruby on Rails framework which forms the backend of amazing new Web sites and Web apps like Twitter, Github, Groupon, and YellowPages. The course assumes no prior knowledge of Ruby or nd is best for beginners and intermediate web developers. By the end of the series, you will be able to develop interesting and exciting web apps and web applications. You will not only learn about Ruby on Rails but also about other useful tools required to work with web application e.g. 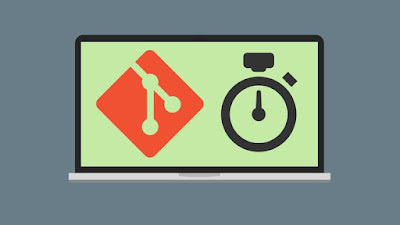 Git for downloading code from Github and Heroku to deploy your web application. The course will also teach you basics of Ruby Programming language before going into web development and Ruby on Rails. You will learn Controller View, Routes, Working with Models and Database, Scaffolding and Active Admin, Layout, Presentation, and Testing. Overall, one of the most complete course to learn Ruby and Ruby on Rails from scratch. 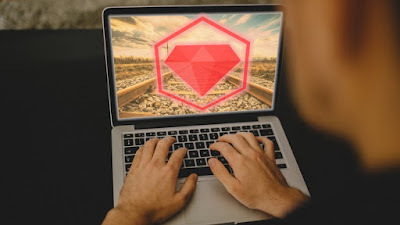 This one is another free course from Udemy to quickly learn Ruby on Rails. This course will provide you enough Ruby on Rails knowledge to go from beginner to intermediate level. The course will quickly teach you how to create web apps using Rails by making 4 projects: a personal blog, a user messaging app, a TODO list and a Wikipedia clone. The course not only teaches you Ruby and Rails but also other tools you need for web development e.g. Git, Heroku, Bootstrap, Active Admin, MVC architecture etc. The course is also an end-to-end course which means you will learn Ruby from installation to deployment. After completing this course, you should be able to create your own web application with CRUD(Create, Read, Update, and Delete) functionality. This is another free Ruby on Rails course from Udemy which exclusively focus on beginners and new developers. The course starts with teaching you how a web application works and what are some essential part of web application e.g. front end, backend, database etc. It also explains essential tools like Git Version Control e.g. how to link your IDE with GitHub, how to update your IDE with SSH Access and how to download Ruby project from GitHub. When it comes to styling your web application, it teaches you how you can do that using Gems and Bootstrap. It also shows you resources on where to find cool Bootstrap layouts that you can simply drop into your application. That's all about some of the free courses to learn Ruby Programming language and Ruby on Rails web development frameworks. The Ruby on Rails is one of the simplest yet powerful frameworks for developing web applications and many popular websites like Twitter, Shopify, Github, LivingSocial, Groupon, and Yellowpages are built using it. If you have a passion for web development or you just want to give your resume a little bit book, learning Ruby and Rails will help you a long way. Thanks for reading this article so far. If you like these free Ruby and Rails courses then please share with your friends and colleagues. If you have any questions or feedback then please drop a note. P. S. - If you are looking for a comprehensive course to learn Ruby and Rails A to Z and don't mind paying some money like $10 then I also suggest you take a look at The Complete Ruby on Rails Developer Course on Udemy. It's trusted by more than 50,000 students and has on average 4.4 ratings.